Coastal Custom Homes enjoys working with clients to help them finalize their design on a new custom home once they have chosen a lot. Our philosophy is that every lot has unique opportunities and each home is custom designed to take advantage of the slope of the lot, the natural sunlight and the views. We engage in a collaborative approach to design an original and custom floor plan which integrates functionality with lifestyle. Our team of experienced carpenters and professional sub-trades are dedicated to making every Coastal Custom home a beautiful one that owners are proud of. We are certified and trained to build Insulated Concrete Foundations (ICF), ensuring the energy efficiency of any home rates high on the EnerGuide Rating. We can build in a modern, transitional style and can also build custom homes with timber exteriors and interiors. Interior Design Services – We offer professional interior design services with each custom home we build. Tiffany Verschuur, is a valuable part of the team, providing distinctive interior design services for each new custom home. She has five years of experience as a successful realtor and uses her expertise and knowledge to assist clients in designing their new home to suit their lifestyle. Looking for a modern west coast designed home with views of the ocean and mountains? We will have one ready for occupancy in April, located at 4166 Chancellor Crescent in Courtenay. This stunning 2,010 sq. ft home has an indoor/outdoor fireplace, a large deck, 12-foot ceilings, 3 or 4 bedrooms, 3 baths, a spa-like ensuite, a large walk-in closet with built-in shelving, a private outdoor area ready for a hot tub and more! Contact us for a personal tour to view this home. 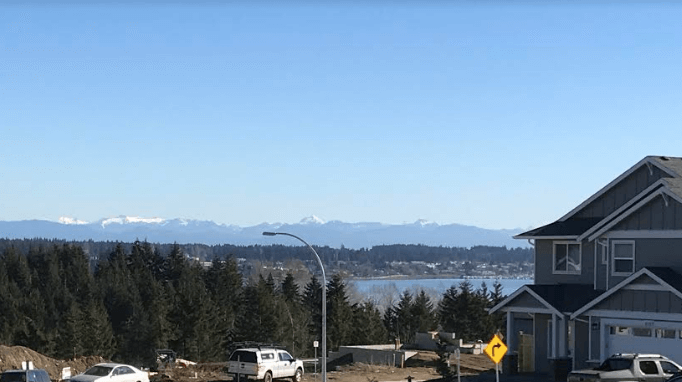 Find out more about our custom new homes for sale at The Ridge in Courtenay, B.C. on beautiful Vancouver Island.